I took my 10-year-old step-grandson to the Tarantulas: Alive and Up Close exhibit at the Academy of Natural Sciences of Drexel University in Philadelphia today. 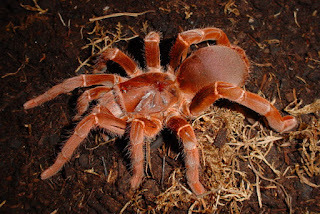 Tarantulas have a reputation that precedes them—terrifying, fast, hairy, scary—the biggest, baddest, and most fearsome of all spiders. 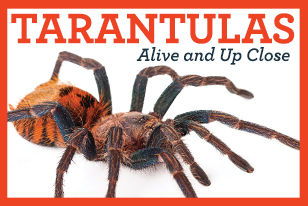 In the Academy’s newest hands-on exhibit, Tarantulas: Alive and Up Close, you will come face-to-face with a stunning array of live tarantulas … fangs and all. Play a guessing game to learn about speedy tarantulas that dwell in the highest treetops and others that live underground, only emerging under cover of darkness to ambush their prey. Find out why certain species prefer the desert and the rainforest. Learn how tarantulas may play an important role in human medicine. 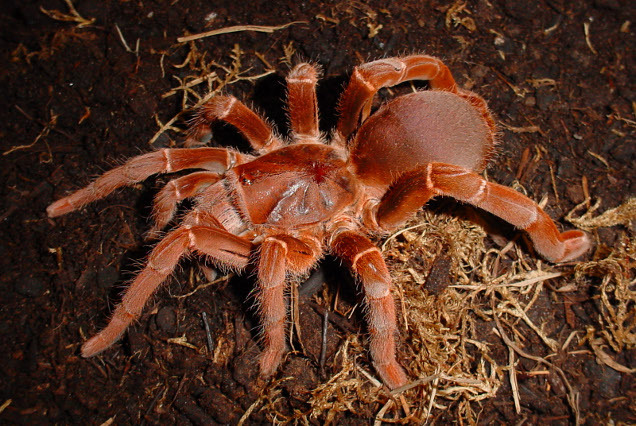 Get the facts on why tarantulas are so hairy. Check out arthropods under a microscope. Dress up like an eight-legged beast to get your photo taken. We visited the museum because of their dinosaur skeletons, which my step-grandson is very interested in. His interest was sparked by the Jurassic Park film series. We also saw the museum's wildlife dioramas and while we there I talked the boy into accompanying me to the live tarantulas exhibit. He was leery, but he finally gave in and went in bravely to see the tarantulas with me.